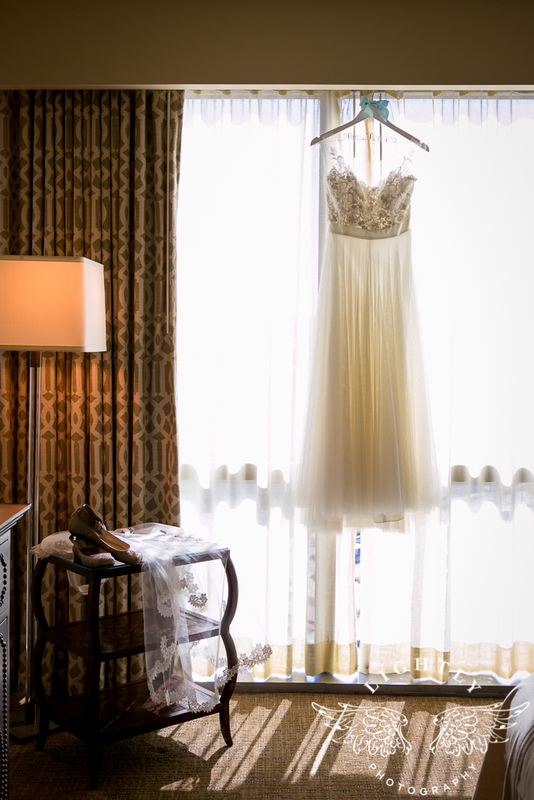 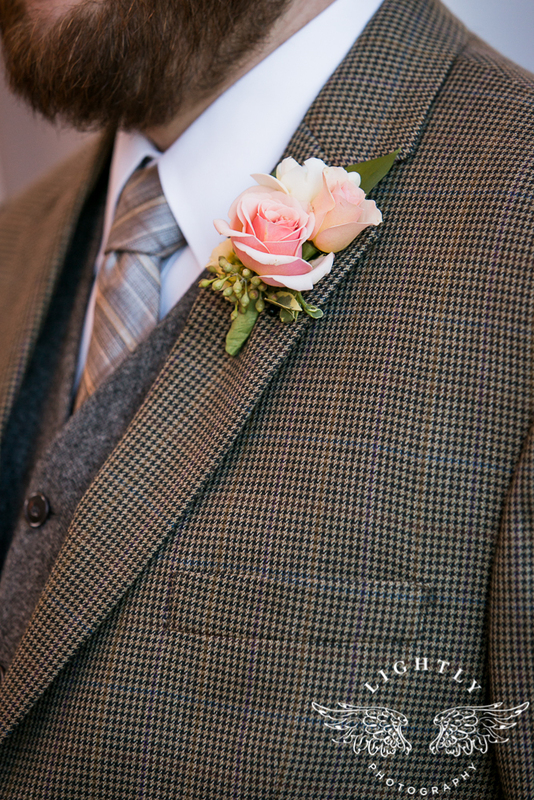 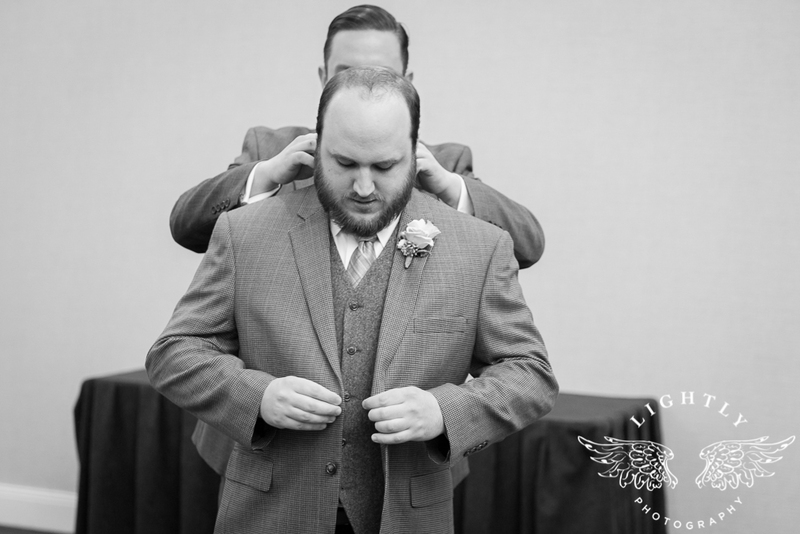 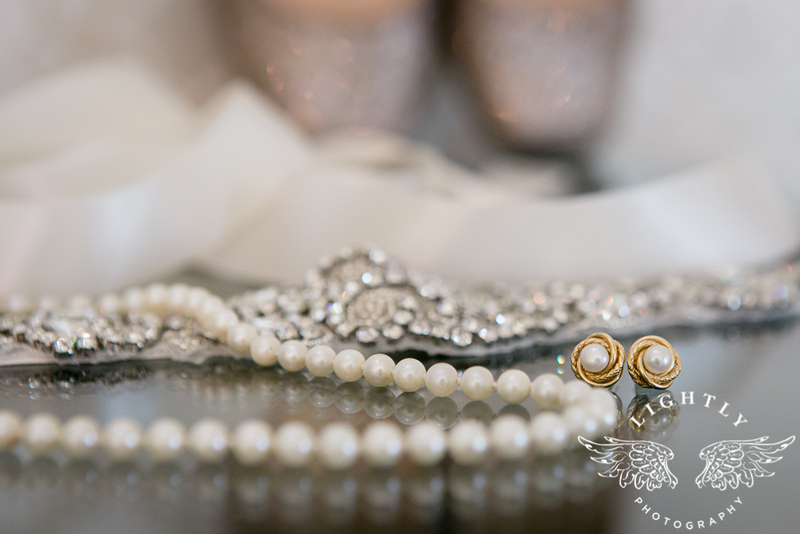 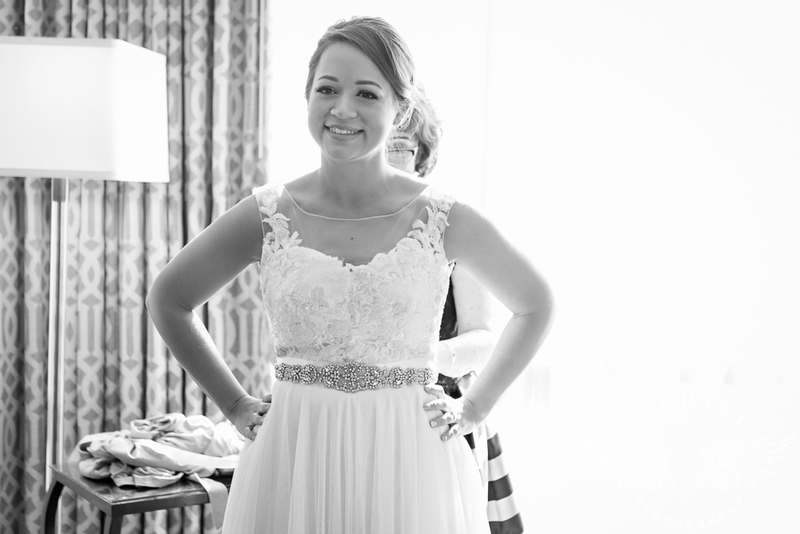 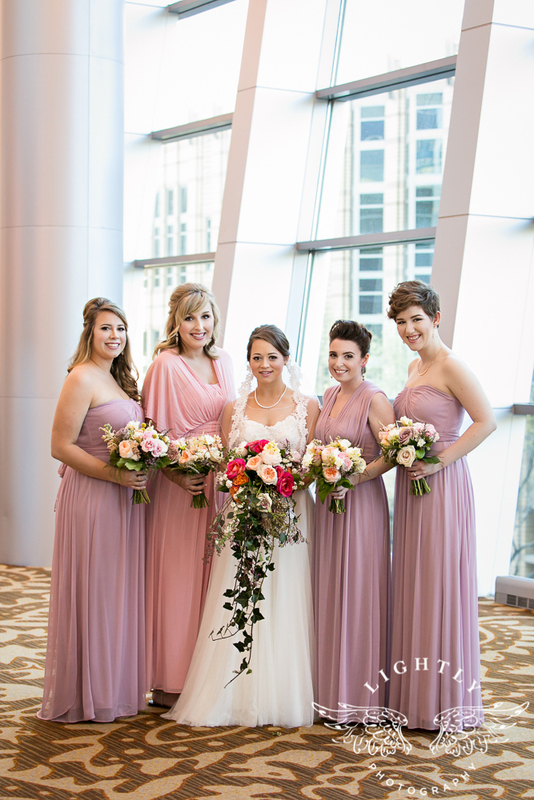 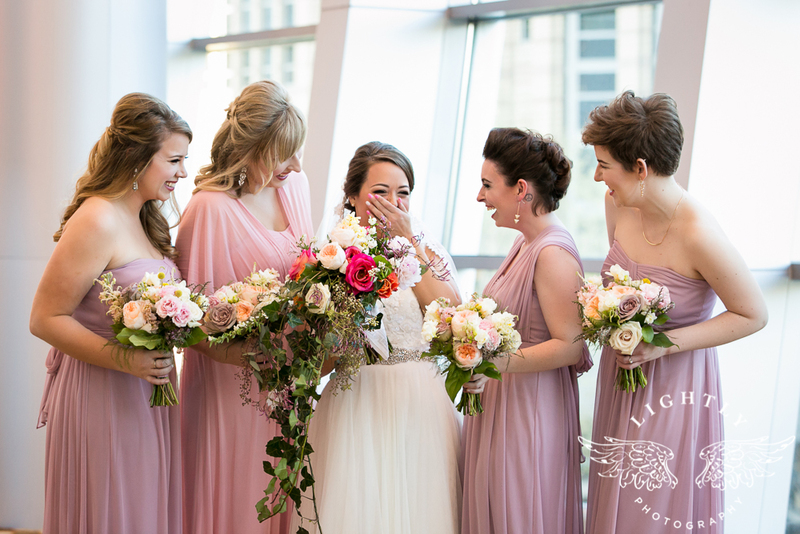 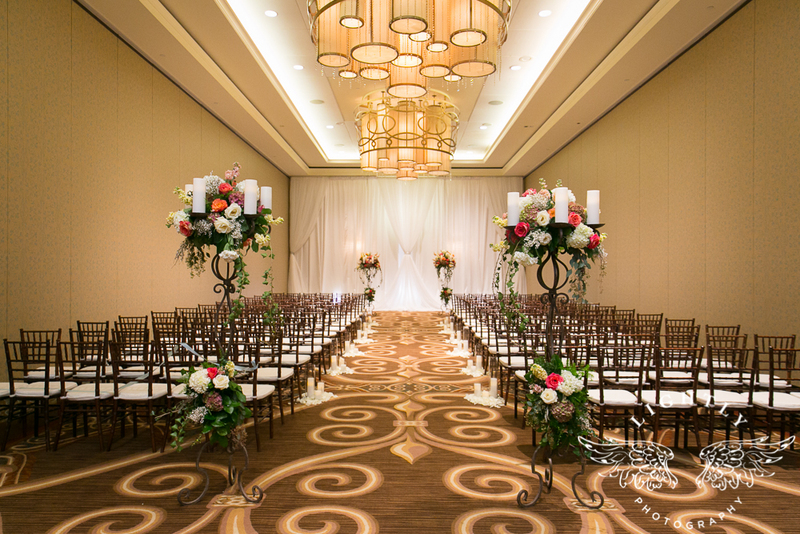 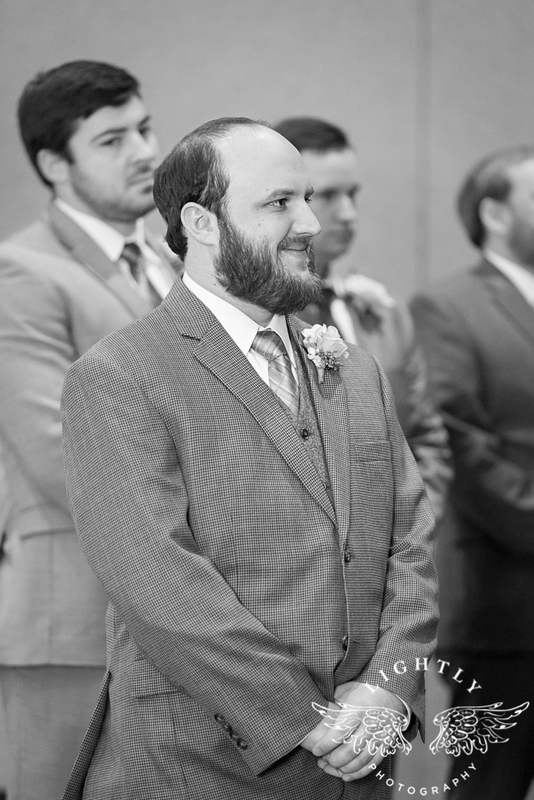 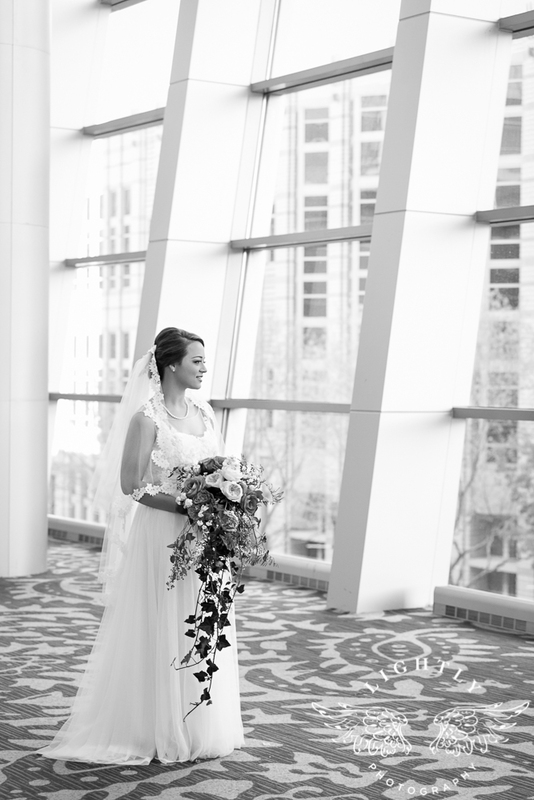 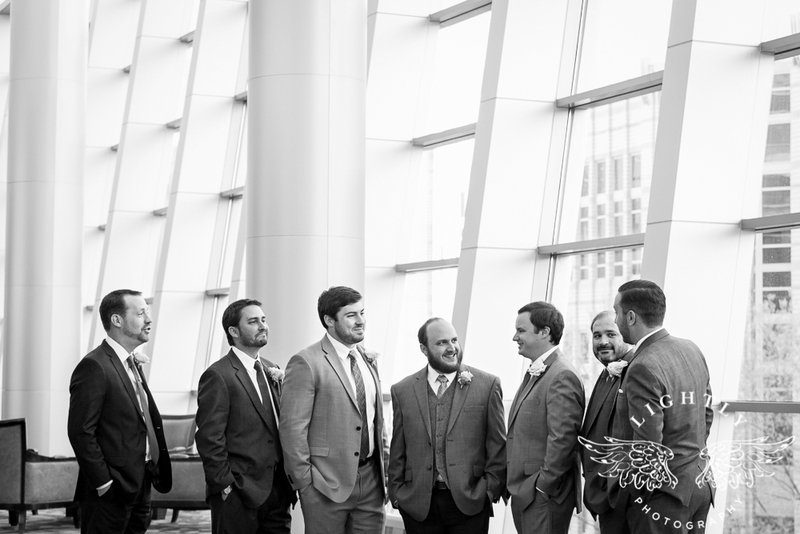 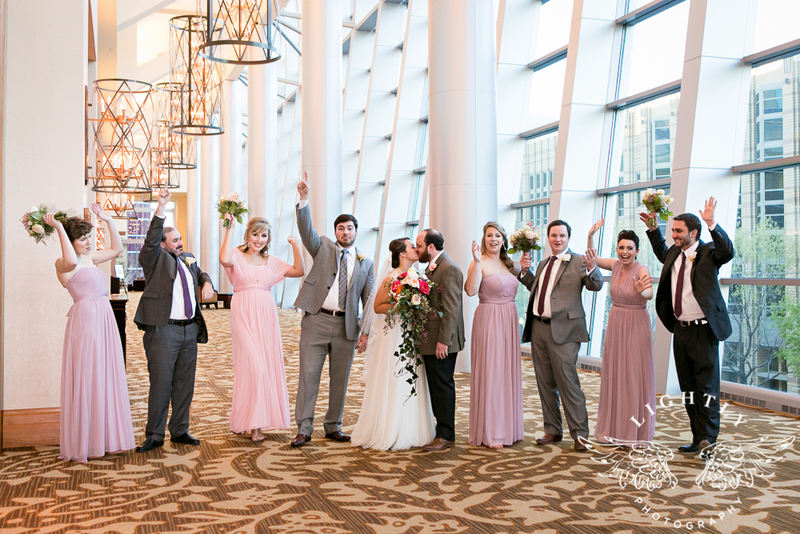 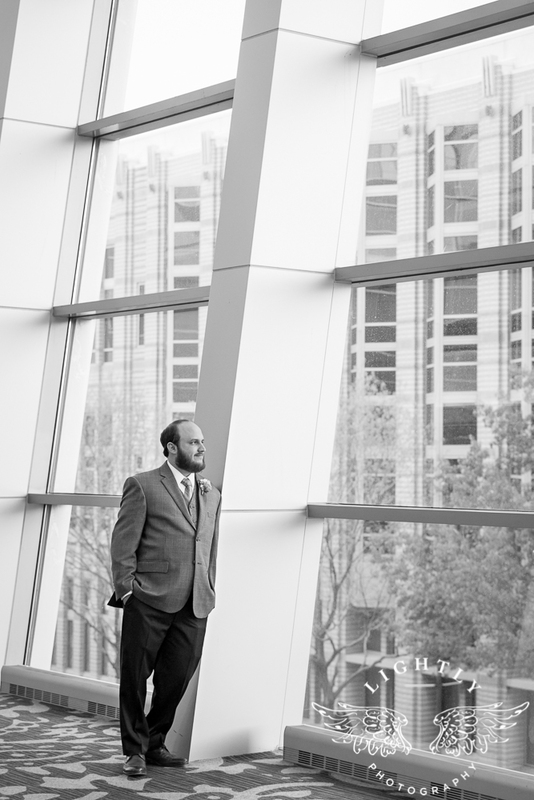 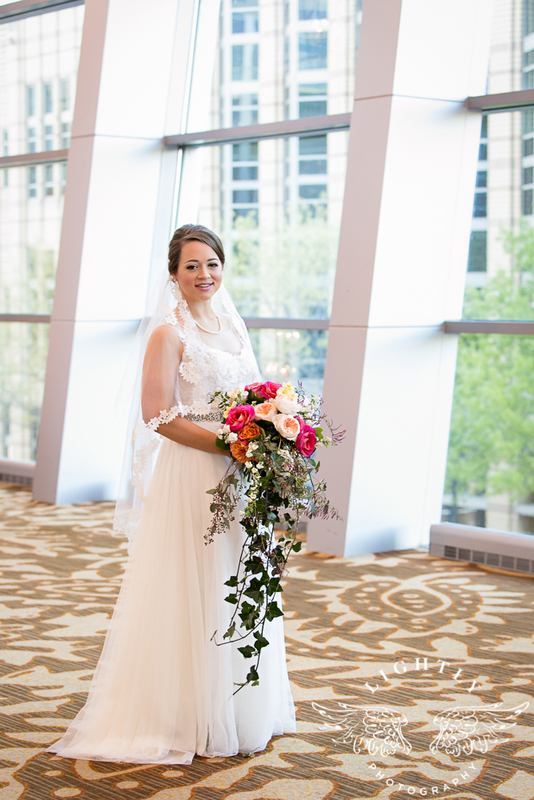 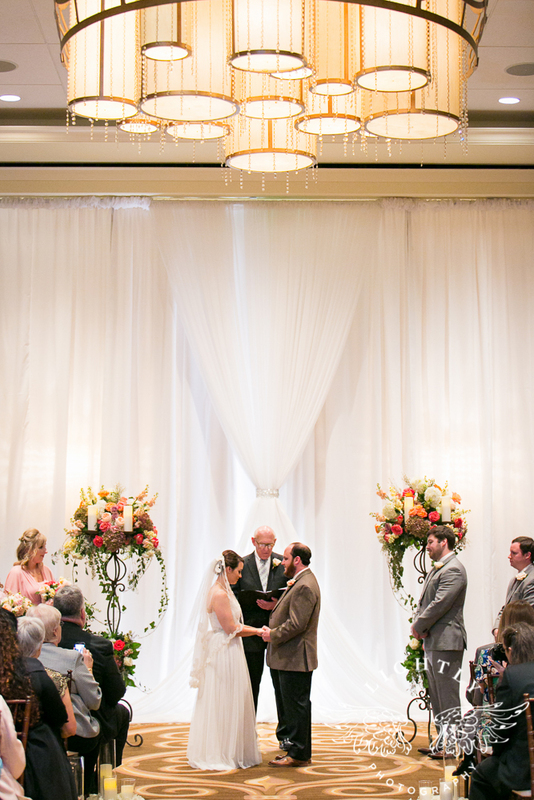 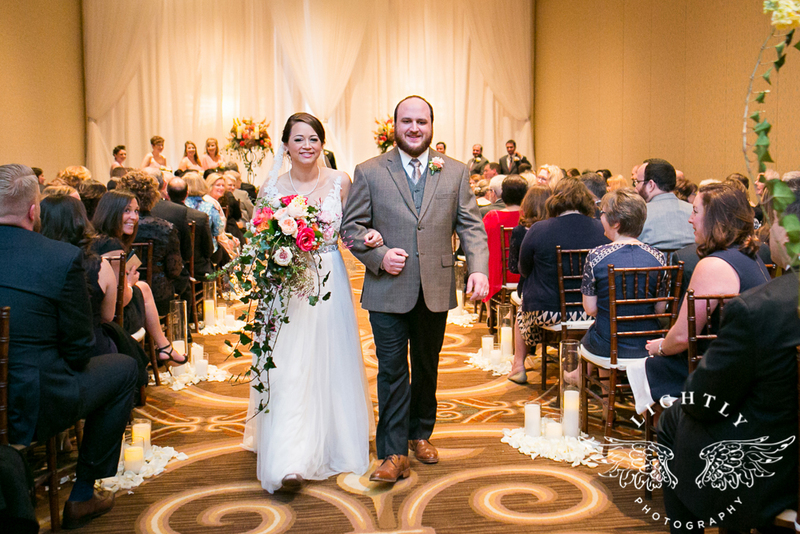 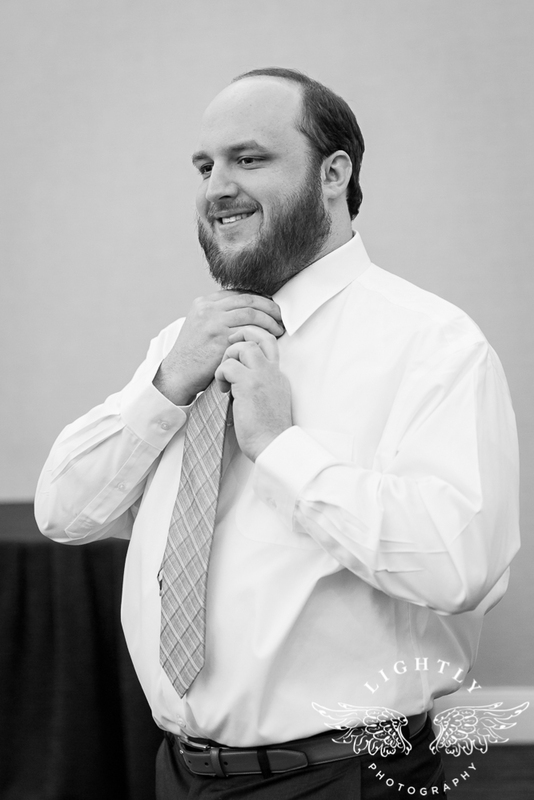 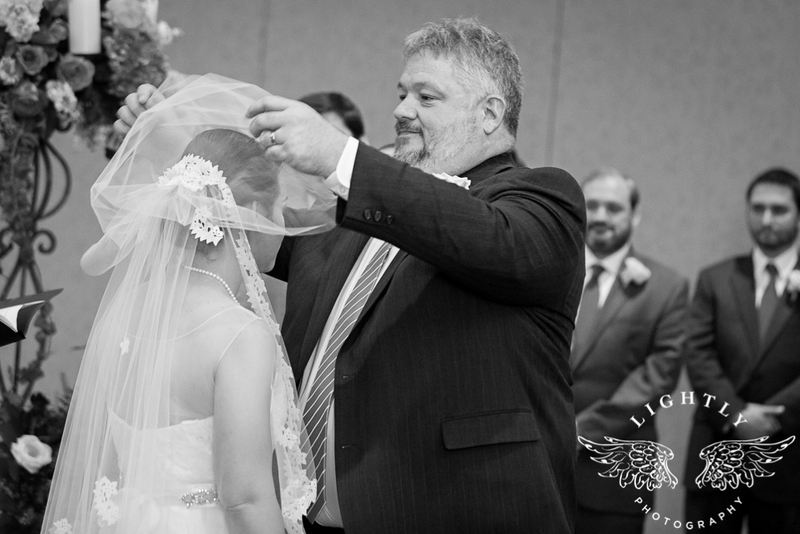 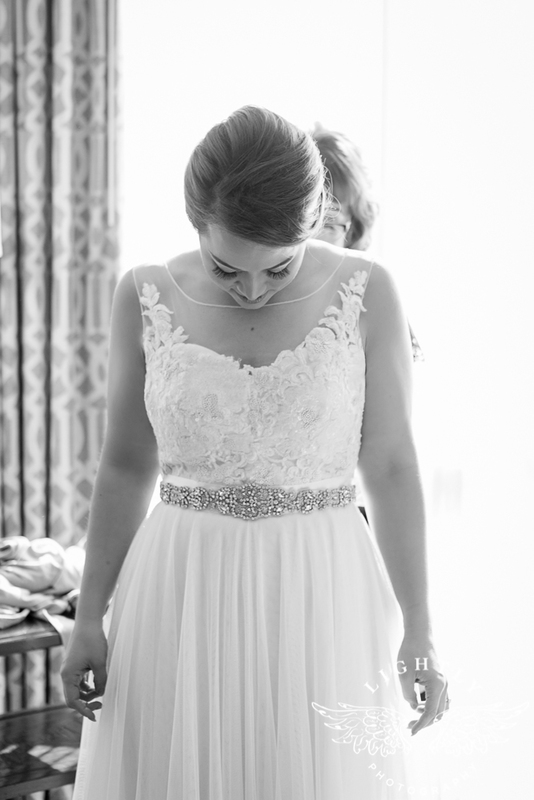 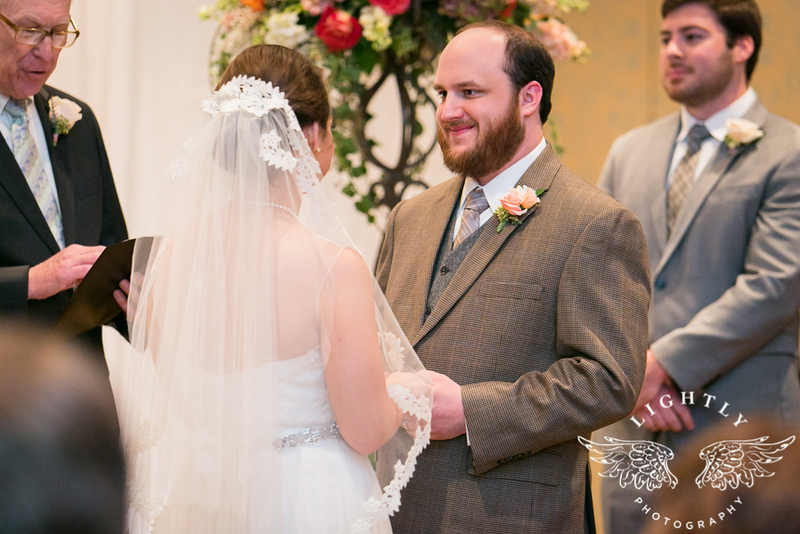 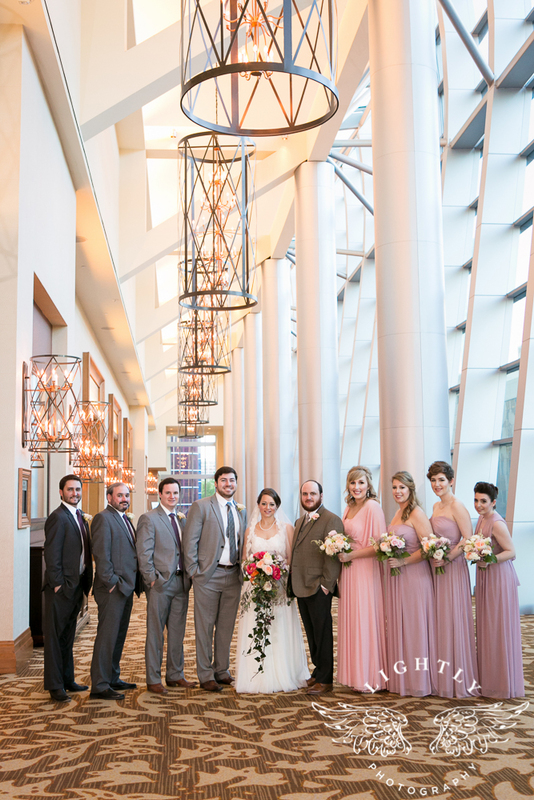 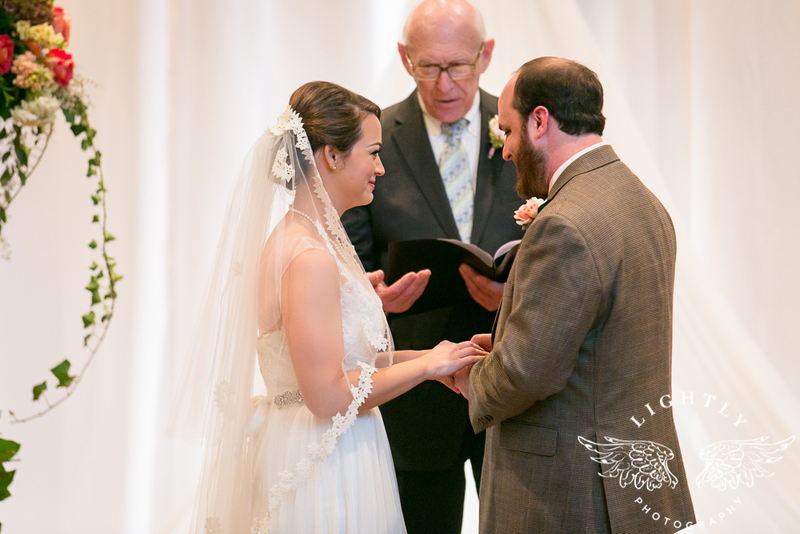 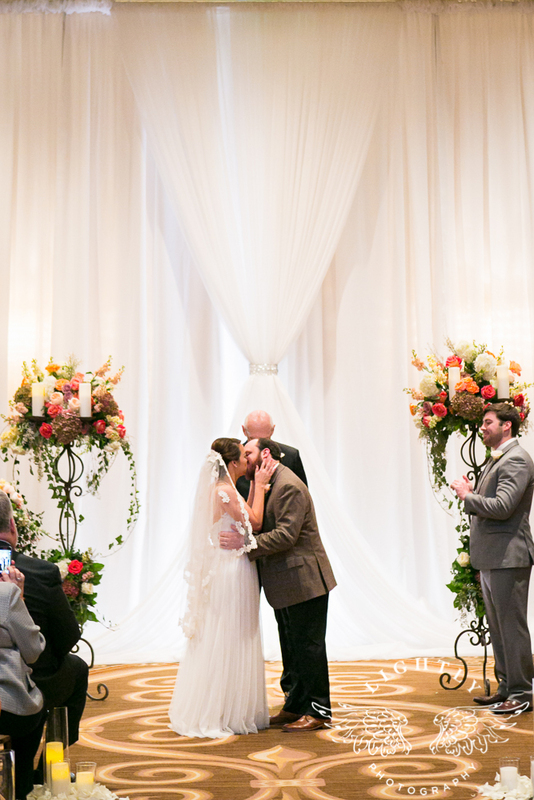 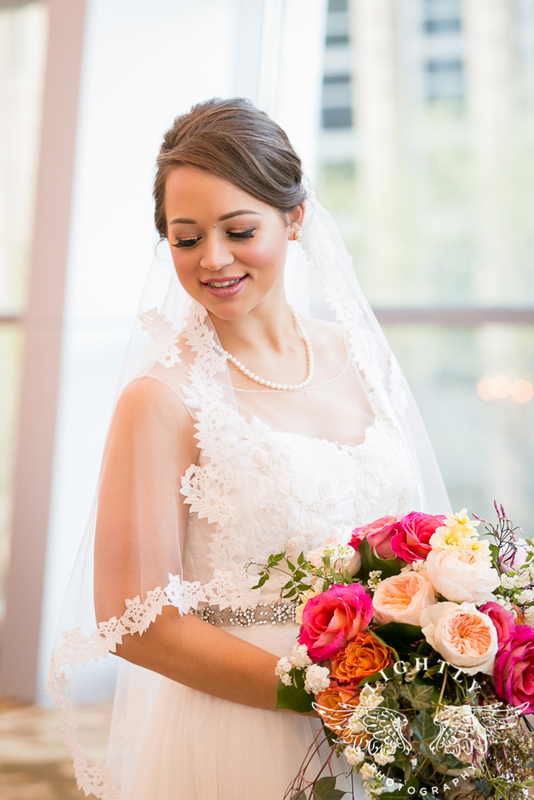 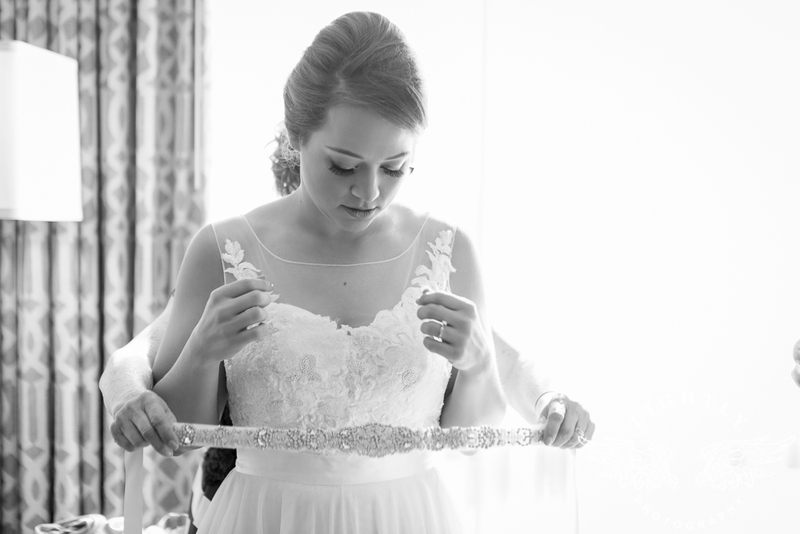 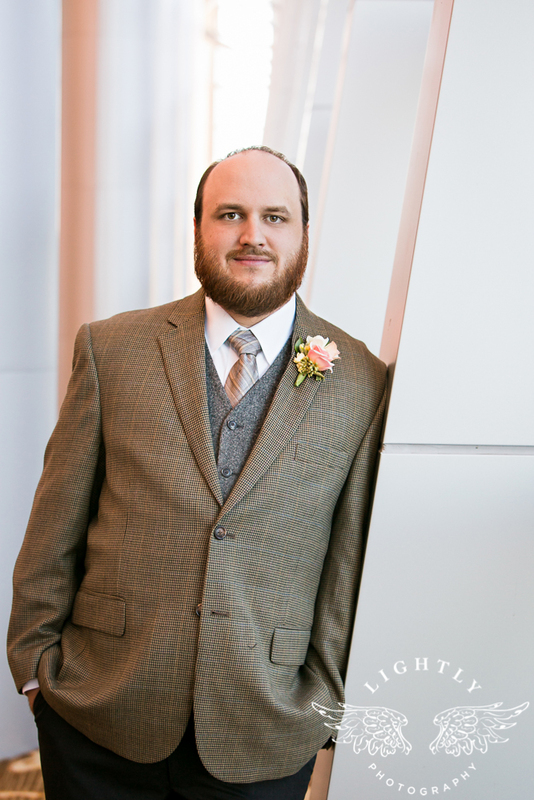 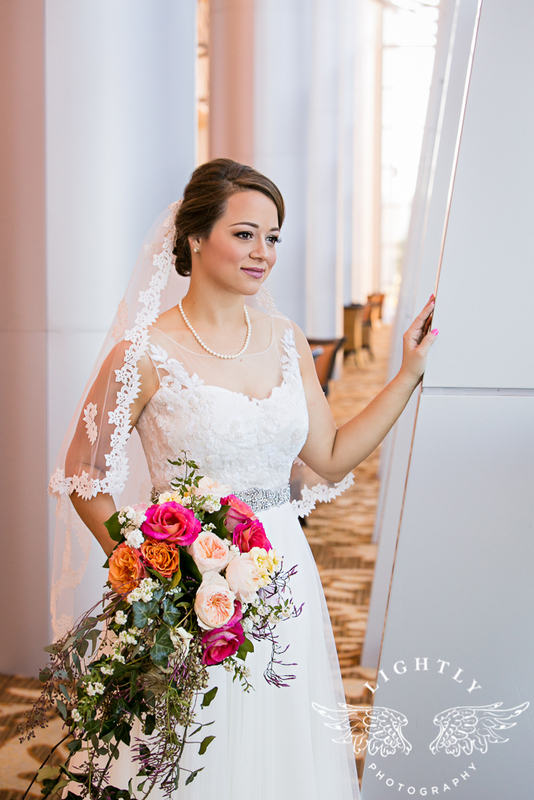 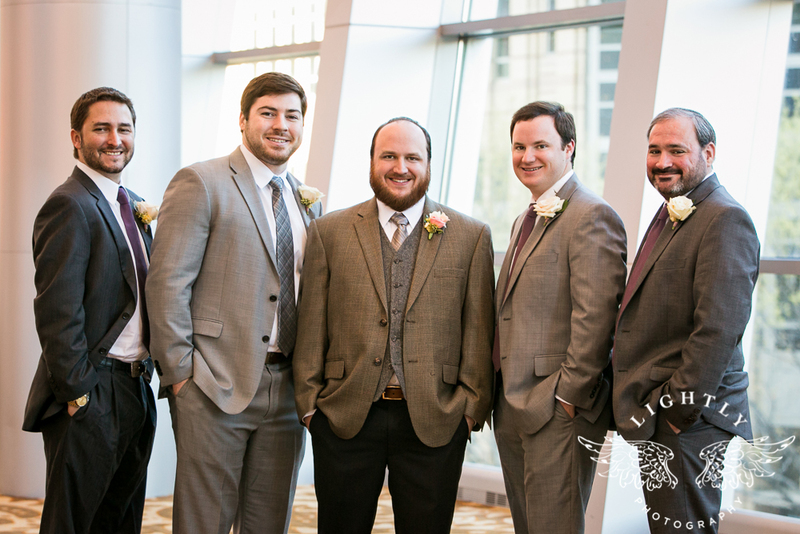 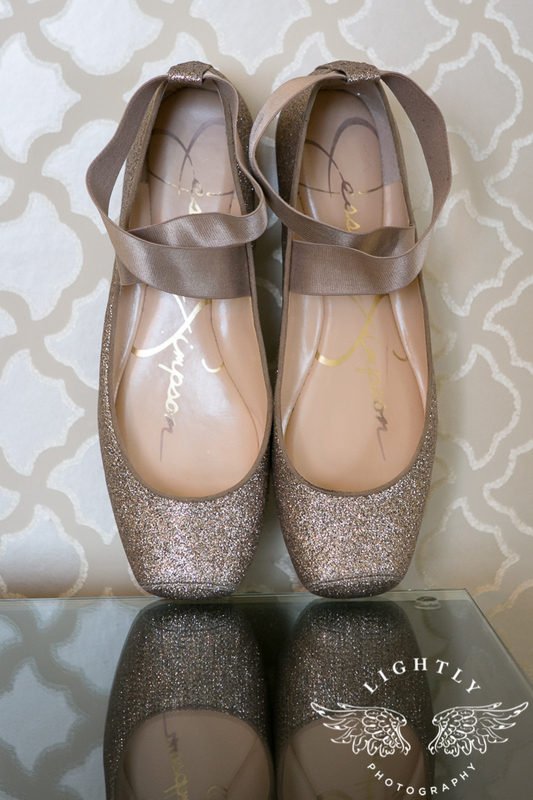 Jenny and Spencer were recently married at the Omni Hotel in Fort Worth. 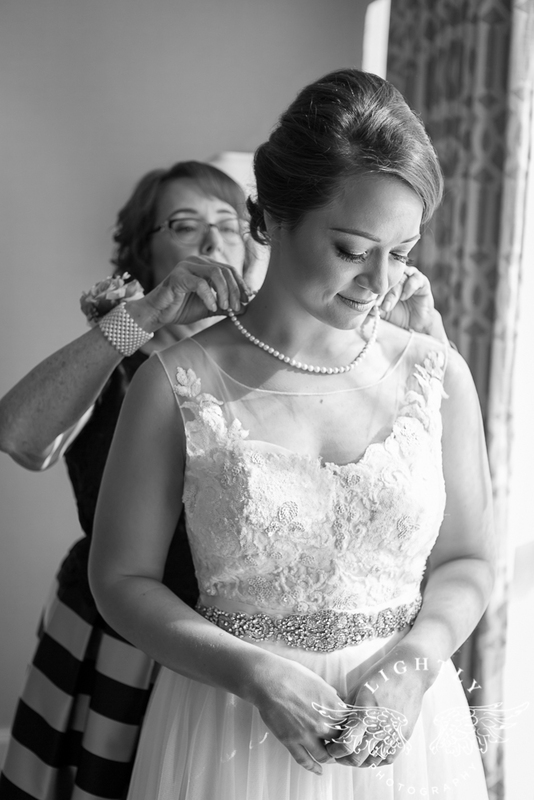 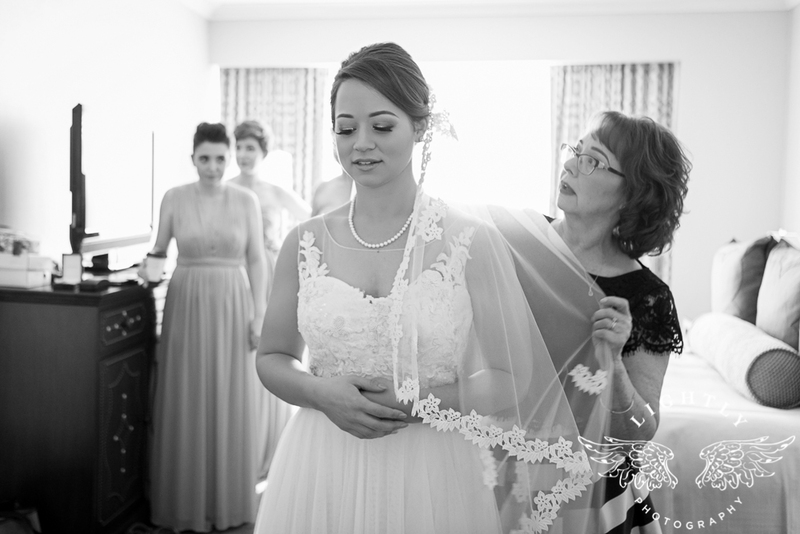 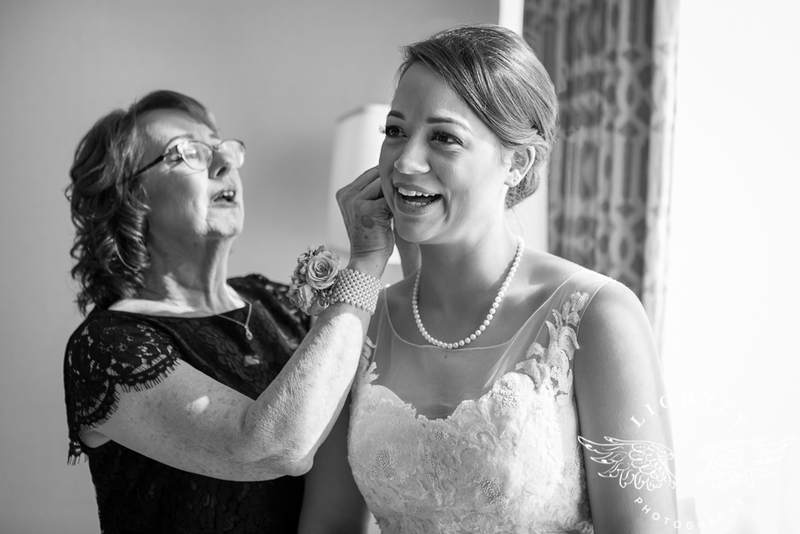 Jenny was stunning in her Anthropologie gown and her mother’s veil added just the right touch to perfect her wedding day look. 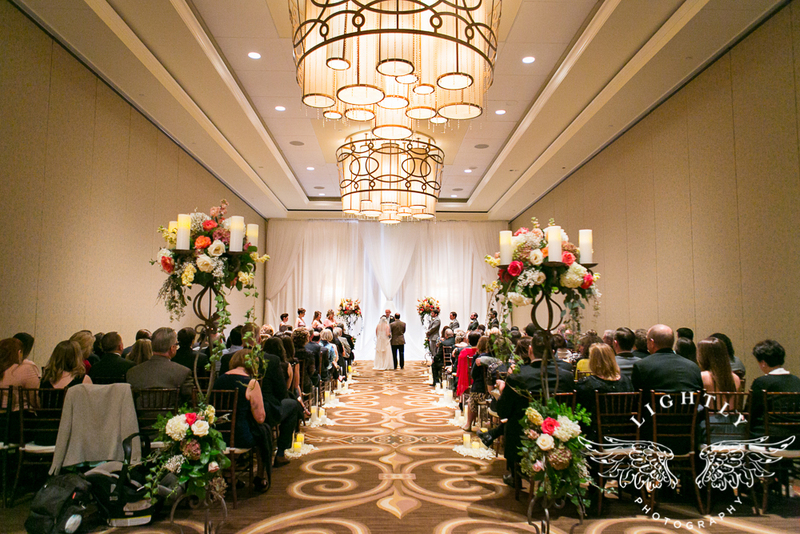 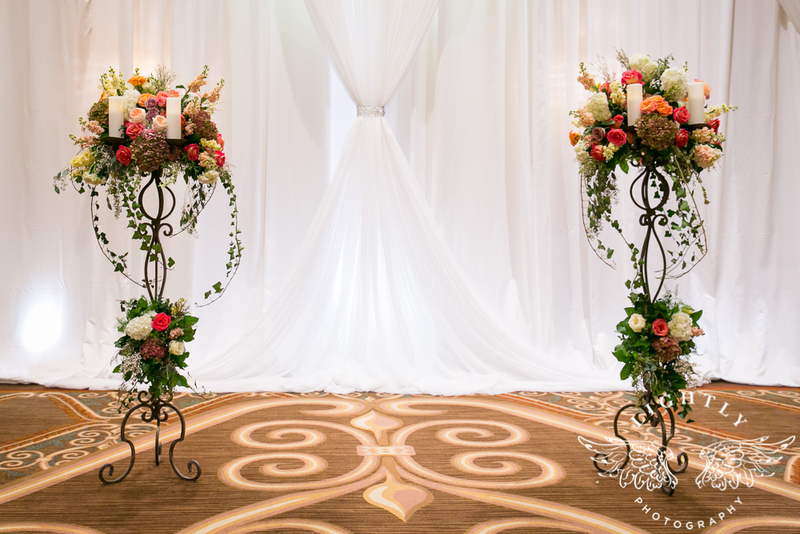 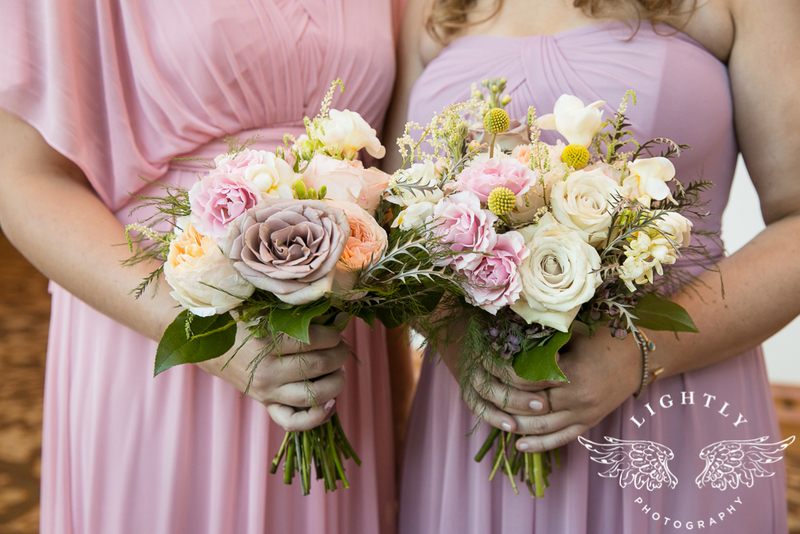 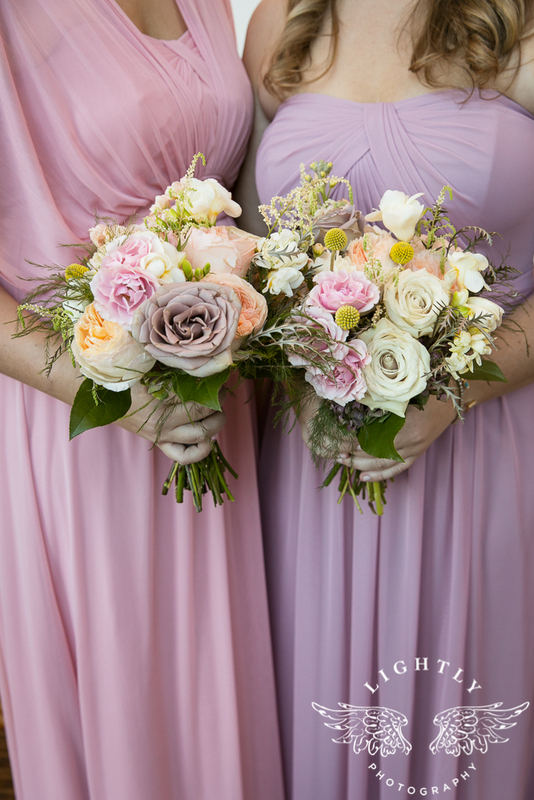 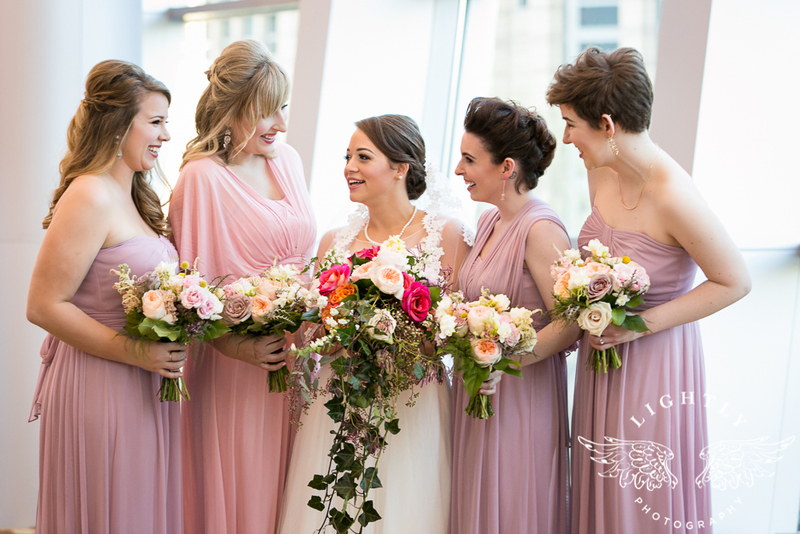 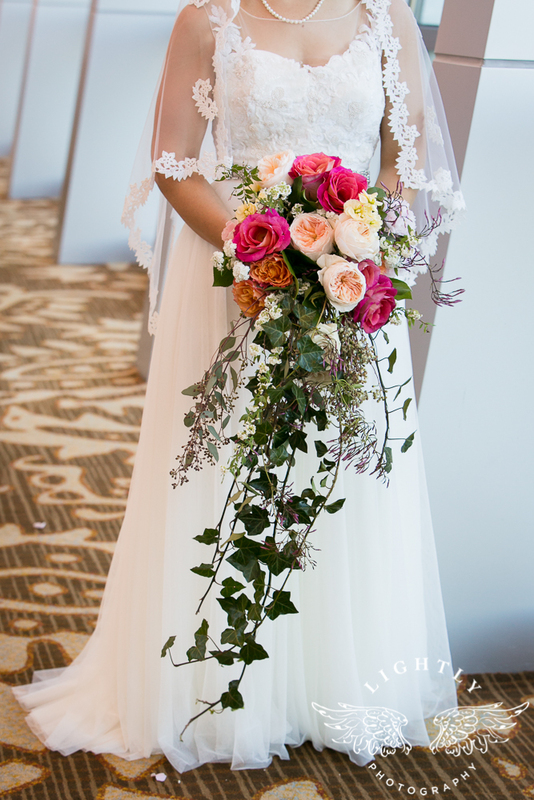 The gorgeous floral provided by Kelly Norvell of Bridal Blooms made the ceremony space feel like you were sitting in a luxurious garden and complemented the travel theme of the reception. 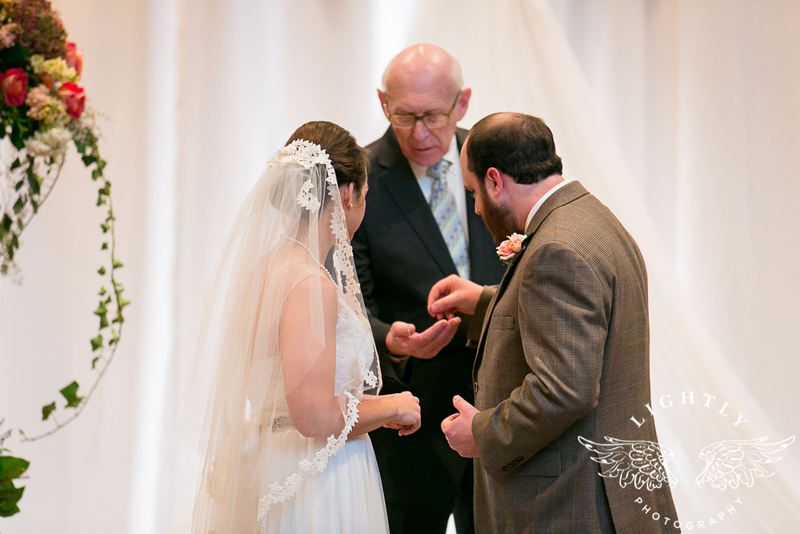 Before the ceremony began all of the guests were encouraged to hold the wedding rings while thinking good thoughts and prayers toward their marriage. 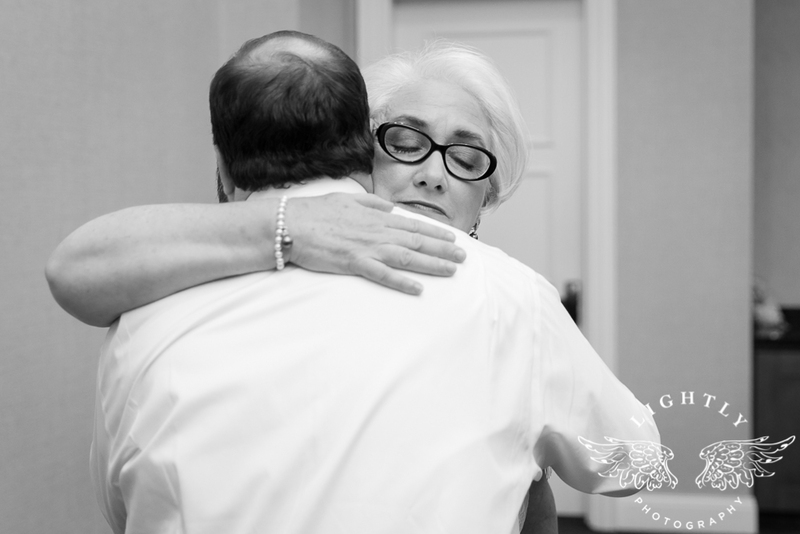 It was a very sweet idea that I have never really seen before. 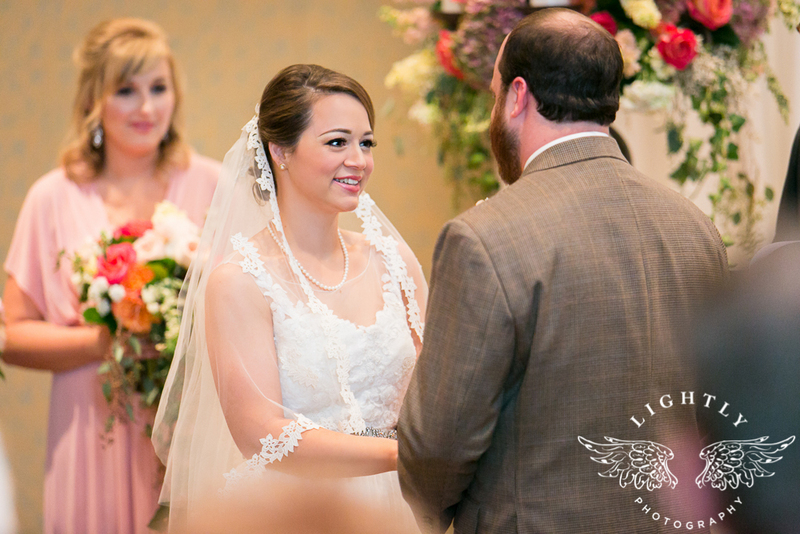 In the warm glow of the candlelight in front of their closest friends and family, Jenny and Spencer made their vows to one another. 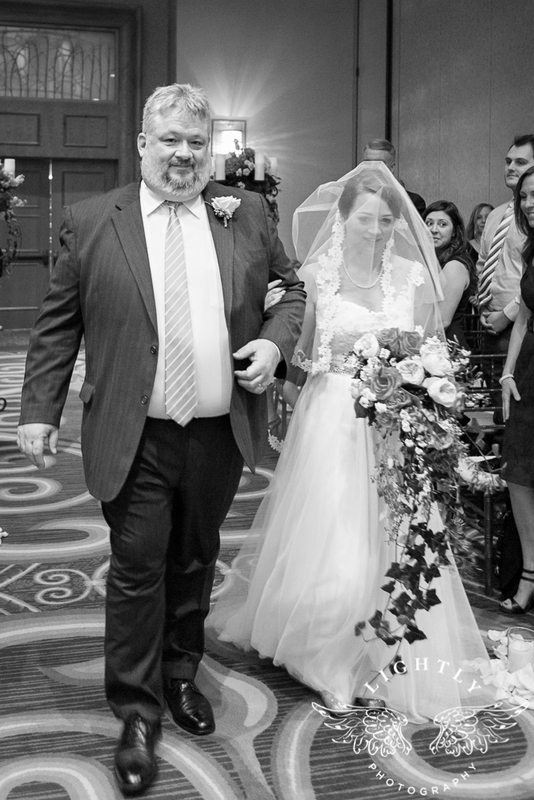 They happily walked arm in arm down the aisle to the music of John Williams as husband and wife! 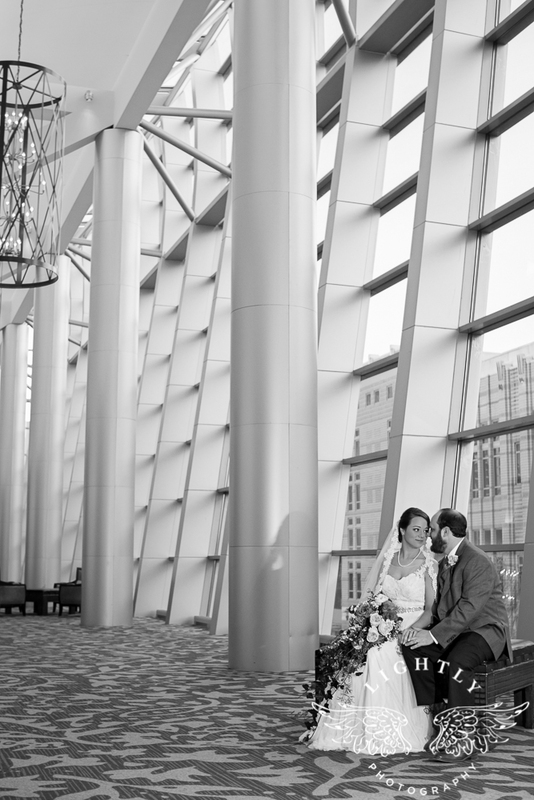 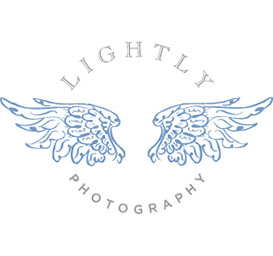 Check back soon for their fun travel themed reception! 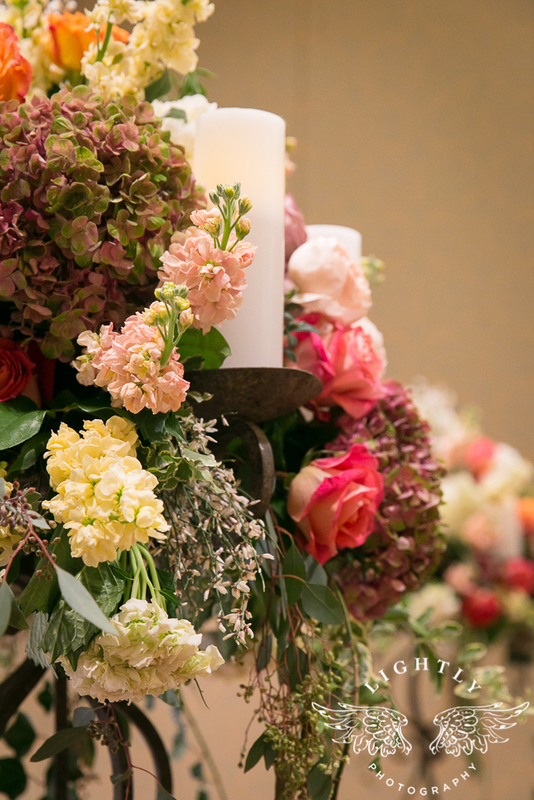 A special thanks to all of the amazing vendors!